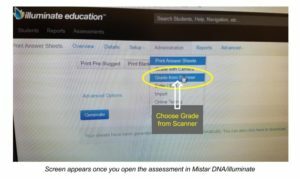 Mistar DNA (Illuminate Education) has upgraded their system by integrating their own test reading software called Lightning Grader. The bubble sheets themselves are now looking a little different as well; some noticeable changes include some boxes around the edges and a QR code in the bottom right corner. 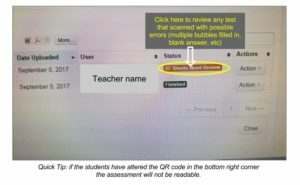 There are now two different options for inputting the test scores – both of these are under the Administration menu once you open the test. 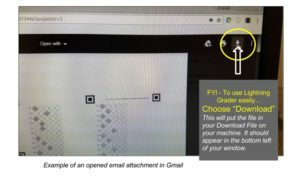 Both options are available for you to use. This is a brief explanation of using Lightning Grader. 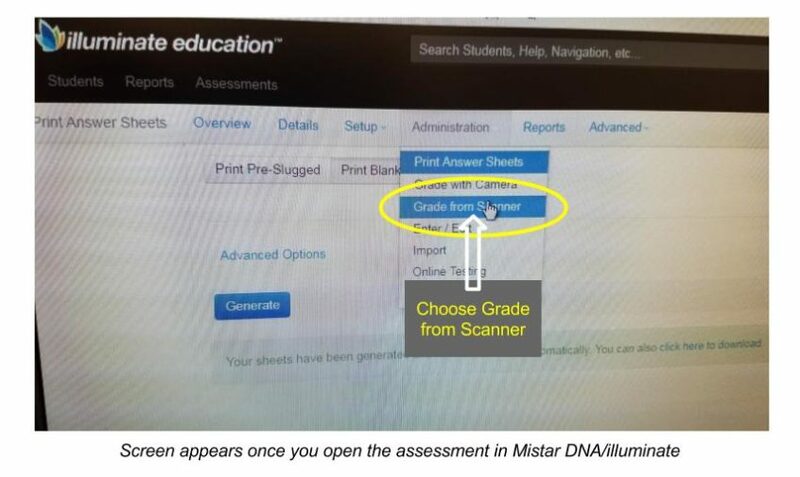 Open MiStar DNA/illuminate and open your assessment. Lightning Grader will start reading the test and give you the results below. Once open, you will see the digital version of the answer sheet and the picture of the physical answer sheet side by side. Review the left answer column; any answer clicked on should highlight on the physical answer sheet to the right. 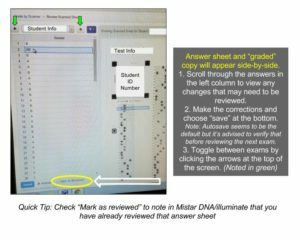 Toggle between answer sheets at the top of the screen until you complete your review. 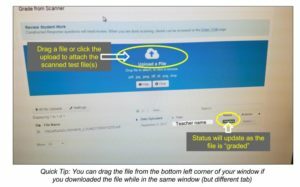 For more information you can visit Illuminate Education’s Lightning Grader help section.